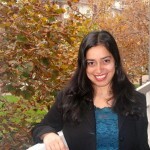 Niki Khoshzamir Moore is a senior associate in the Litigation Department of Wilmer Cutler Pickering Hale and Dorr LLP (WilmerHale) and an adjunct professor at the University of California, Berkeley Law School. Ms. Moore’s practice is primarily focused on complex commercial litigation, intellectual property disputes, and economic sanctions matters. She has successfully represented corporations, financial institutions and individuals in state, federal district and appellate courts throughout the United States, and in all phases of litigation including trial. She also advises and represents clients before the Treasury Department’s Office of Foreign Assets Control on U.S. trade sanctions. Ms. Moore was recognized as one of the top “40 under 40” professionals by Silicon Valley/San Jose Business Journal in 2011 and named as a “Rising Star” in the 2012 edition of Northern California Super Lawyers. Ms. Moore is the founder and former president of the Northern California Chapter of the Iranian American Bar Association and served on the chapter board for five years. She also served multiple terms on the IABA national board of directors and as national Vice President in 2008. She believes that in addition to providing bar association services to attorneys and law students, IABA will have a crucial and invaluable role as the legal educator and advocate of the Iranian American community in the next decade. Ms. Moore received her law degree from Berkeley Law (2006) and holds an undergraduate degree in Biology from Texas Southern University. Prior to her legal career, Ms. Moore was a research assistant at the MD Anderson Cancer Center and the Baylor College of Medicine Human Genome Sequencing Center.